Jam music is essentially sounds from various musicians on multiple instruments who have no preconceived idea as to how or where the piece will travel. The only key is that the music does travel, transporting the listener to a foreign land where anything is possible. Travel has never been more important. Americans gather the majority of their information either online or through secondary news sources that are never as solid as the eyewitness accounts that we need to form our own opinions. This glaring fact is compounded by a recent study showing that less than 23% of Americans have a passport. 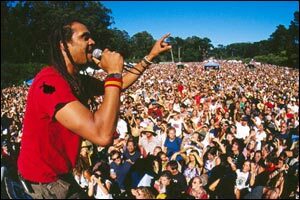 Lonely Planet will host three musical events featuring Michael Franti, Karsh Kale, and a variety of musicians from various countries to help educate people about the benefits of traveling. Morocco's Hassan Hakmoun, Israel's Halle, Carol C from Si*Se, Croatia's Goran Ivanovic, and China's Yang Ying are some of the musicians participating in the trio of shows. The "Passport to the World" shows will hit New York City at the Spirit Club on September 22nd, followed by stops at Chicago's Park West on September 24th and San Francisco's Mezzanine on September 30th. Attendees will be able to listen, groove, and dance to the multi-cultural sounds and fill out passport applications and get photos taken. The events are also noteworthy because portions of the $15 ticket will benefit local charities in each city. In New York, Brooklyn's youth charity, Groundwork, will benefit. In Chicago, a portion will go to the youth-based Umoja, and in the City by the Bay, Project Spera, which also helps young people to participate in a global community. JamBase sits down with the headliners Franti and Kale for a discussion on world music, The Face of America, and why travel has been so vital to much of the music that we enjoy today. 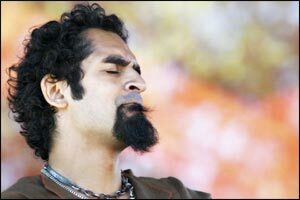 Franti, of course, has been a one-man musical ambassador to the world for quite some time, as well as a vocal political activist for human rights. Kale is also a true world citizen. As he states, "When I'm in India, I'm an American. When I'm in America, I'm an Indian." Kale travels the world with his music and specializes in sounds ranging from tabla to electronic percussion and from DJing to classical concerts. Lonely Planet has also published a compact and entertaining book written by eight LP authors to further educate a traveling public: Don't Let the World Pass You By! 52 Reasons to Have a Passport. 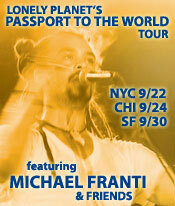 Franti: The best thing is that it expands your mind and opens your heart. I think for any of us, in our optimum capacity when we're really working at our best is when we find ways we can serve other people and thrive ourselves. I think all of us would agree that if we could all find a job where we could do that, we'd be the happiest. When you go to other places and you see what people are living like, it expands your mind and expands your ideas about how one can help in the world and can thrive yourself. Kale: First and foremost, it is about meeting the people that are being judged. Americans are being judged all over the world based on the actions of our government. It's important for people to voice their opinions to Americans and for Americans to be able to defend themselves through dialogue. At the same time, [we need] to be able to share thoughts with people from all over the world and to start to realize the opinions and thoughts that we see on the news and the media are not necessarily representative of the people. We don't really get that until we move around and experience other cultures and other ideals. I'm from the East, and for a lot of people who come from the East and make a name for themselves in the West and then go back to the East, you're automatically embraced. It's automatically perceived as something bigger. How did you get involved with these events? Franti: The reason I got involved with it is that I was contacted by the people at Lonely Planet and Congresswoman Barbara Lee. I've always been inspired by Barbara Lee. She's the only congressperson to vote against the war in Iraq. When I heard from her that only 23% of Americans hold passports, I was really surprised. And when I heard that only 70% of congress people ? people who are supposed to set up foreign policy ? have passports, I was horrified. I thought this idea of making September being National Passport Awareness Month was a good thing. At the shows, we're going to provide an opportunity for people to get passport photos taken for free and to get all of the forms necessary to get a passport, and hopefully inspire people to do so. 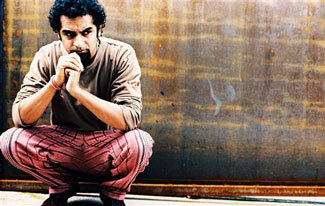 Kale: I had worked with Michael Franti a couple of times in the past couple of years. At the time, we were label-mates at Six Degrees. I recently worked at the Harmony Festival, and the organizers who are involved with the Lonely Planet events also were there. I guess they just put two and two together. The musical acts look pretty strong, including musicians from so many different countries. Franti: The people at Lonely Planet put together a wish list and went about approaching people. I think that what I've heard from other artists is that they agreed that the best diplomacy is not done by politicians. The best diplomacy is by people meeting each other face to face. There's a lot of misunderstanding of other cultures by Americans. There's equally as much misunderstanding about Americans in the rest of the world. Right now, the American face to the world is militarism and a superpower that does what it wants without consulting other people. I think one of the ways that we can change that perception is by changing the reality. When people travel and see the needs of other people in other countries and then come back to this country, they are more likely to elect leaders that support those ideals. The reverse happens also. When American citizens go to other countries, they bring a positive face to people in those places. Kale: For me, the artists that are performing at the events are people that represent and come from many different cultures. They've been able to explore different cultures and bring them back to their own. Friends of mine that have studied abroad or have been able to explore places like India and brought a little piece of that culture back and incorporated that into their own lives ? that automatically changes their perception of the world. The thought process in America that is very much about protecting blindly, without really knowing what is going on in the outside world - that's what needs to change. JamBase received a question from one of our readers. Why aren't the events in smaller cities where people are less likely to travel? Franti: I didn't plan these events, and it's impossible to be everywhere at once. The hope is that when we play a show in San Francisco, people come from Sacramento, Chico, San Jose, and Berkeley to see us. We're hoping people will come, but the main thing is to reach as many people as we can so we go into the larger population areas. I agree with the person who wrote in [to JamBase] - I wish we could be everywhere at once. The idea of the campaign is to set a national month where there will be awareness campaigns for people to sign up just like there are National Health Months and different things like that. How has traveling affected your music? 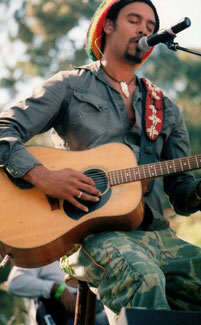 Franti: It has affected my life so much. I really feel like my whole adult education has been through the experience of being on the tour bus and going to different places around the world. Within the last year I traveled to Iraq, Iran, Israel, Palestine, all over the West Bank, the Gaza Strip, and Jordan. In the coming year, we'll be traveling throughout Africa ? especially when you travel to places where there are wars, you see first-hand the effects of our foreign policy. Is it doing what we want? Is the War on Terror working or is the War on Terror creating more animosity and more hatred? Everywhere I've been I've seen that it is creating more animosity and more hatred. That makes me want to come back and encourage other people to go out and see what's going on in the world. Kale: I've played almost everywhere ? of course in India. I've played Japan, Bali, Brazil, all over Europe, Canada, and Mexico. First of all, to be in these different places with different audiences and different perceptions about this thing that I do allows you to start to re-address [the music] and make it more universal for more of a world audience. Have there been events that changed the way you thought about the world? Kale: Definitely two places: Brazil and Japan ? the reception and amount of love and attention that people gave to the nuances, whether I was doing a DJ night or a live concert or more of a classical thing. In Japan, I was able to do an event where the first half of the evening, until three in the morning, was a DJ night. After that, we converted the whole thing into a classical night that lasted until seven in the morning. Six-hundred people were dancing for five hours. They stopped, were quiet, sat down and enjoyed a classical concert until seven am. That would be very rare here in the West. Kale: I think that would be very rare anywhere to pull that off. Any areas where you feel you could be a powerful ambassador? 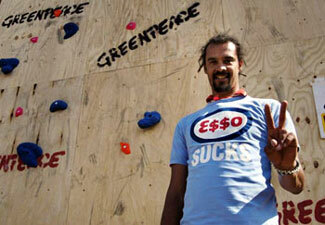 Franti: I really think that all of us are, as citizens, ambassadors of this country. I'm somebody that really believes that culture is the best way to translate between nations. Through art and music, we can often break down barriers. 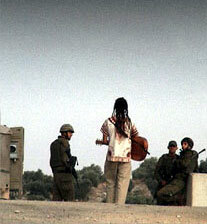 On a simple basic level, as I traveled through Baghdad, I was carrying my acoustic guitar and I would walk into a coffee shop somewhere, and within a few minutes there would be somebody else with a Middle Eastern guitar, and people started singing, clapping, and dancing, and people would start talking with me. It was very different from my experience when I would be walking around with soldiers, and they would be holding M16s and people would run. Kale: People get a false sense that we are connected with others because we get so much information online and through the media. We are not truly connected to different thought processes until we go to different places and are affected by them. For me personally, having the opportunity to travel so much over the past few years, you tend to start feeling like a citizen of the world. You tend to connect - you start to erase borders in your own mind, and that's really healthy for this particular generation. From that perspective alone, for those who have the opportunity, they should definitely travel and spend time in other places.